Waiting for the perfect moment, being happy just when... Said no equestrian ever. We are happy in the moment, we truly know how to enjoy the moment. The moment when your horse nickers when you arrive at the barn (or, at least, MOVES direction door when you arrive in hope for treats), the moment you get that ****** flying change right, the moment when you mucked all the stables. Instant happiness accompanies us whenever we work with and around horses. Sure, we have things that we look forward to as well, but we love being around our beloved animals way too much that we could forget to enjoy the moment. Work till you drop just because you want to afford that super expensive car? That penthouse? Equestrians do love material things but we can keep a good balance. Actually, we have to. Because no matter what, we have to pay for more important things like the monthly board, food, or shows. We know our limits and we know how to handle them. We also know how to make the best of the (financial) situation. We are creative in solving monetary problems: mucking in exchange for lessons, second-hand tack and convincing all your relatives that the only thing you really want for Christmas is the new saddle pad. But we can wait, it does not matter when it takes longer. We have enough saddle pads in the meantime anyway. WHAT?! When they mean, staying home, they must be kidding! 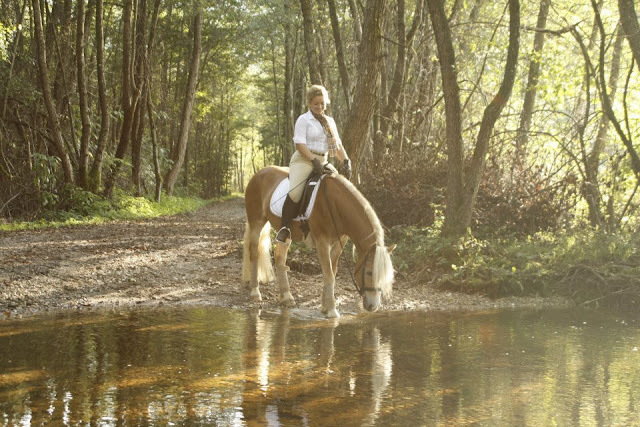 No equestrian is at home at all - at least, that is what we wish for. Not only is it barn work before house work, no, it is also the urge to spend as much time as possible outside with your horse. Or just watching your horse. Horses showed us pretty early: we are responsible for what happens to us. They mirror us, showing us all of our positives and negatives. If something goes wrong, it was 99% of the time our fault. And 1% the plastic bag's. Expecting bad things to happen? When you are with your horse? Pretty unlikely. Sure, some of us are afraid of Liverpools or hacks or Liverpools during a hack. And yes, we sometimes struggle with negative emotions towards flying changes. And yes, we hate ourselves for not being able to bend ourselves more, to stretch that leg, to move that hip. But that does not keep us from going. Again, we are creative in finding solutions! Afraid of hacking? Take your best friend and her bulletproof horse with you. Cannot stretch that leg further? Go take a yoga class. It is not all roses and berries with equestrians, we sure have our dull moments, but as with our horses: as long as there are treats, there is hope. Yes, we complain, too. Abou the gray that rolled in the mud right before your lesson, about the fault in the course, about your horse leaving the ring, about how rude others are in the warm up arena. But we also know that there are things that we cannot change (i.e. 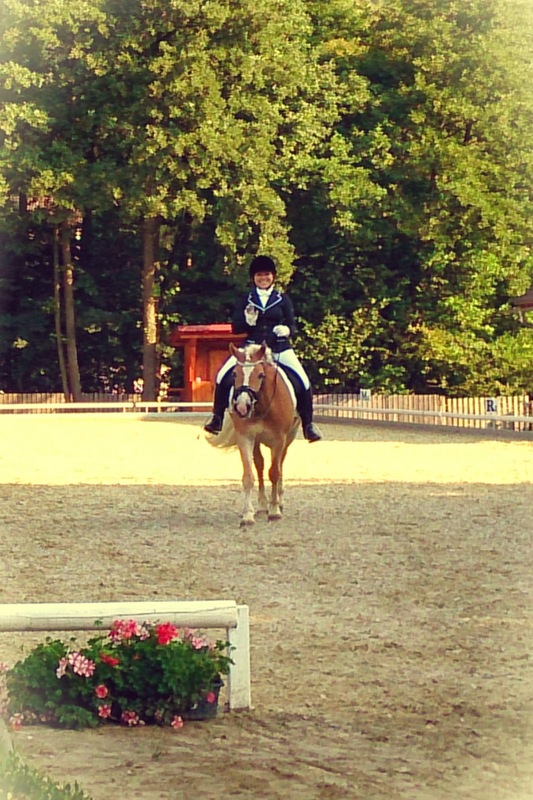 the pouring rain during your best dressage test ever!) and we, therefore, have to accept. And the things that we can change, we will change. We are equestrians, it is just a matter of bailing twine. I will never ride again - said so many equestrians before. And? They are back on their horses again. Yes, there is a time to be upset and yes, sometimes things do not run smoothly. And yes, there is a whole ***** of **** flying changes.You might think you want to quit. But you don't! You take another attempt, you see your next chance to prove yourself. A messed up test? More poles on the ground than on the fences? No problem. You come back tomorrow and get it right. You either win or you learn. Trying to hide problems instead of being accountable for them. We are held accountable. Look at the marks sheet - you make the mistake, they give you bad marks. As said, 99% of the time it is us making mistakes when working with horses, training them, showing them. Hardly ever we are lucky enough that judges do not see them (hands up who prayed during a test for the judges to not have seen that missed halt, rein back or flying change!). So we get feedback, but also from our horses when they do not perform the movement as desired: was my aid clear enough? Did I sit too much to the right? Did I lose that stirrup? Good riders can cover some mistakes (have you seen some "sitting" the extended trot?) but in the end, we see the result of our mistakes. And most of the time, judges, too. I have not met many equestrians who sit back and waited for their life to happen to them.We set goals, we plan, we train, we train harder. We take baby steps up the level ladder and hope to improve day by day. Even if you just want to go for hacks, I have never met an equestrian saying: Oh, I want to become a worse rider! Ah, that comparing issue. Yes, we know that. We know that very well, and to be honest, some cannot keep up with that. Seeing all those rich kids on picture perfect warmbloods while you try to steer half a draft around the ring? Sure, that might be depressing. But there is that tiny, tiny chance of a miracle that one day you will hit the jackpot, that your short leg long hair pony will beat the long-legged ballerinas in the ring. There are examples in history, and that gives us hope. And then we start dreaming. As Walt Disney said: If you can dream it, you can do it. And that you should not compare yourself with others, I have said several times already. 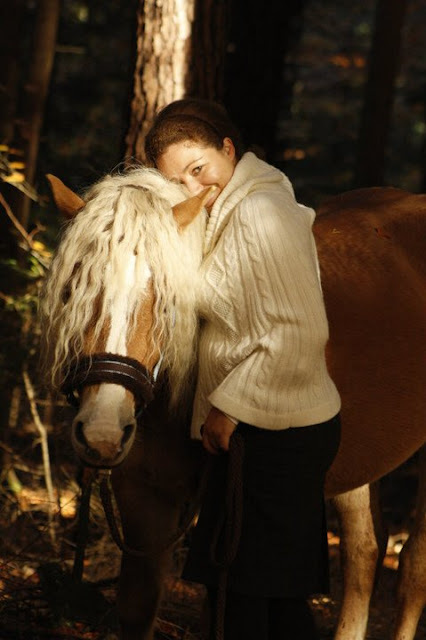 To cut a long story short: being unhappy is possible but very unlikely as equestrian - at least, for me. And there is one thing that makes many people unhappy that for sure does not apply to equestrians: feeling lonely. You are never lonely with a horse waiting for you at the barn, right?